One of Shabaab’s main radio stations in Somalia has published a report claiming “dozens” of pro-government militiamen in central Somalia hasve surrendered to the al Qaeda branch in recent days. This reportedly occurred in the Galguduud Region, where Shabaab has been able to recapture some towns after Somali and Ethiopian troops withdrew. 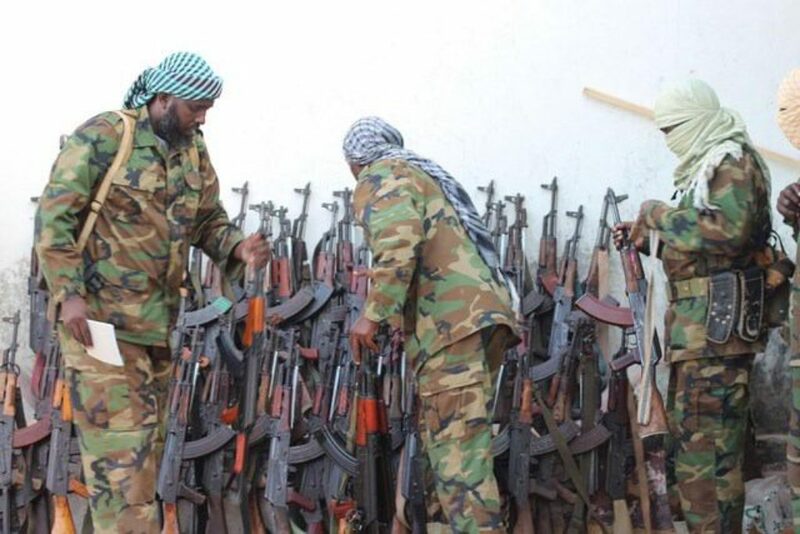 Radio Andalus, one of Shabaab’s propaganada radio stations and media outlets, reported that dozens of these fighters surrendered and gave up their weapons to the jihadist group after a recent battle. 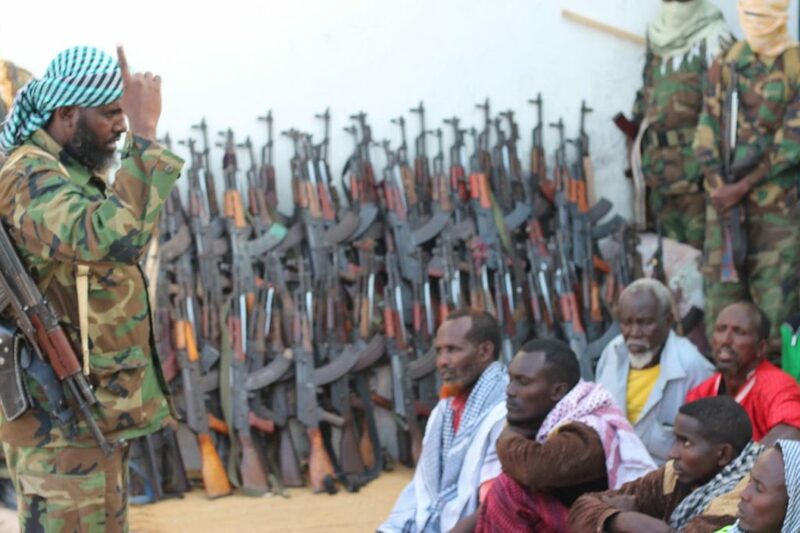 Additionally, Shahada News, another Shabaab outlet, said that the number of militiamen that surrendered was close to 60. 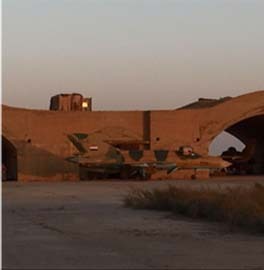 However, in photos released by Radio Andalus, the number appears to be nowhere near that total. 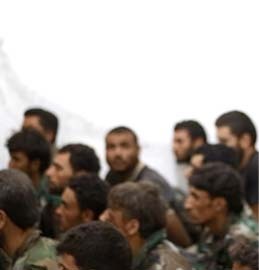 It is possible that some militia members were not photographed. The fate of those fighters is not clear. Shabaab did not indicate it would execute the militia members or attempt to bring them into the fold. With local militias surrendering, who are allied to the government in Mogadishu and African Union forces, this allows Shabaab to further solidify its control of the recently captured areas. It is likely a mediatic operation to prove that Al Shabaab movement is still as militarily powerful as before when Somalia’s Foreign Minister Abdisalam Omer claimed that Al Shabaab is now militarily defeated. 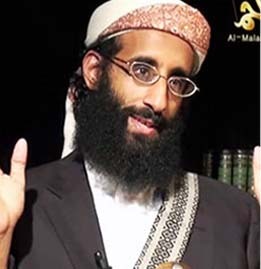 Al Shabaab systematicly overates figures and casualties in its claiming. 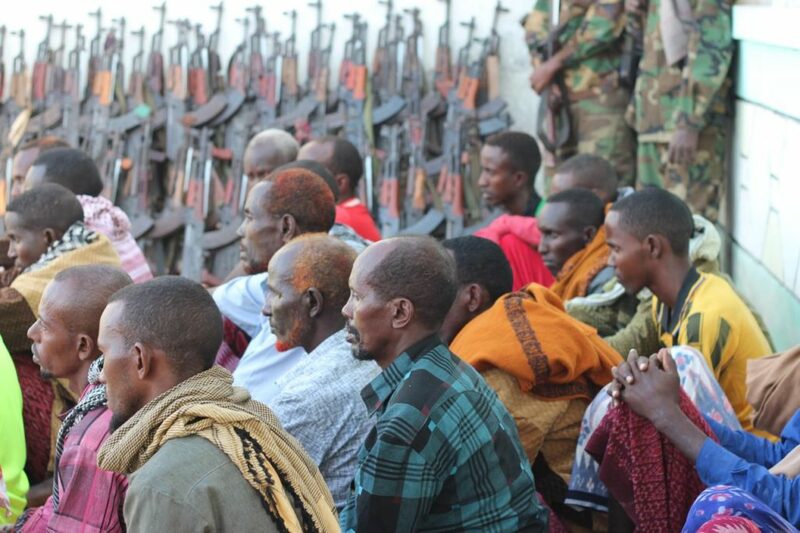 Those fighters in civilian clothes are probably militiamen from villages wich are under Al Shabaab’s control rather than pro-governmental militiamen. One should also notes that those pics are released at the same time as in Southern Somalia Jilib town Al Shabaab had paraded twelve Kenyan prisoners. Officially two Kenyan policemen only are missing after Al Shabaab raided police station in Hamey near Garissa (september , the 21st) . 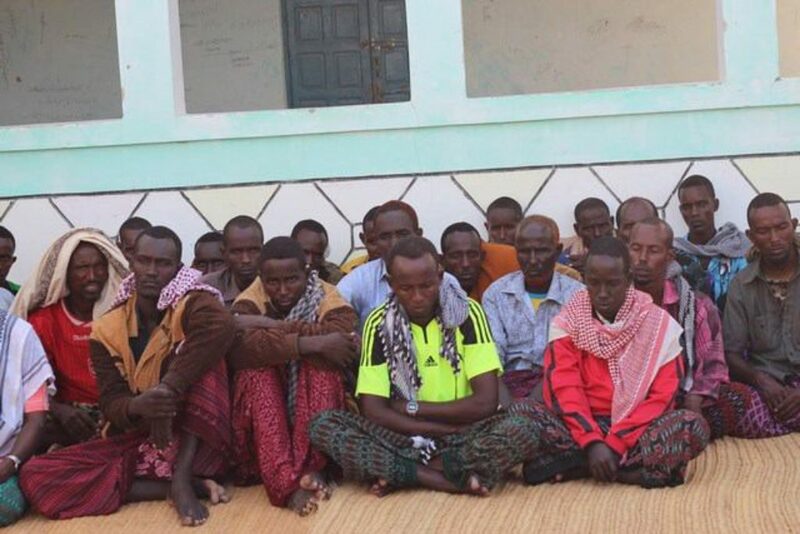 Al Shabaab claimed more prisoners. Some of them are probably other prisoners. 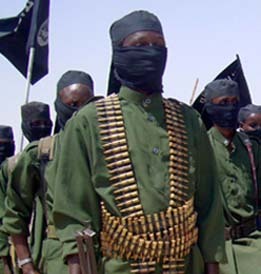 It is known that already in past Al Shabaab’s prisoners have been sent to its stronghold in Jilib. That is also happened because Al Shabaab seems to focus on Central Somalia. As result of somalian government’s effort to unite regions to form Federal states, it’s viewed with mistrust and suspicious. 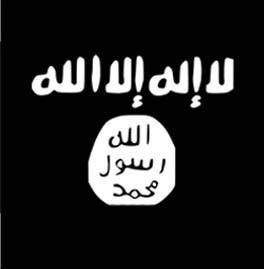 Al Shabaab is trying to take advantage of tensions wich aroused between clans about the sharing of power. 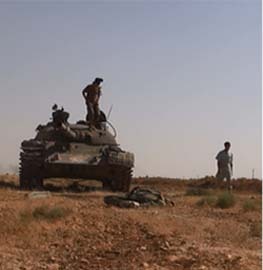 Why are the government forces retreating? Did they really think giving the locals shiny new aks would quell the well dressed rebels? That just got most of them killed, after propaganda purposes. Also new guns and extra ammo for the cause. Farmers aren’t about to fight what they believe to be well armed, trained, with uniforms, (used as visual intimidation as well. )soldiers, rebels,shabaab.